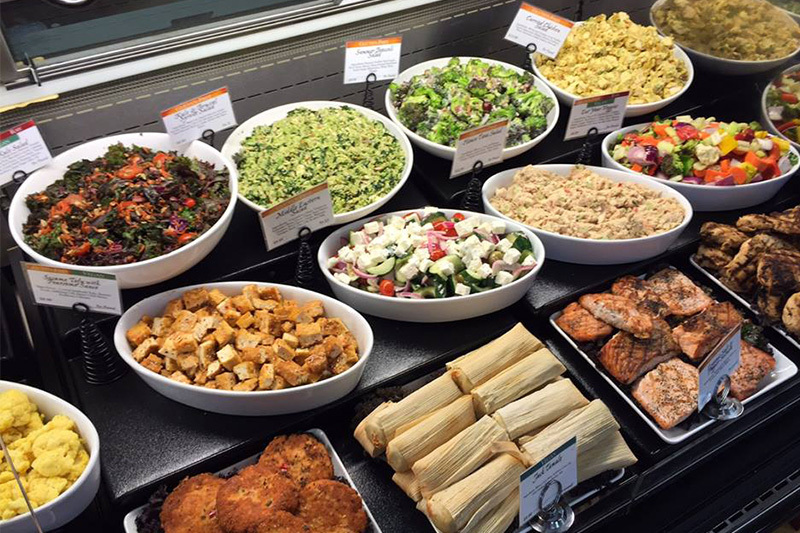 Your fast lane to healthy food. You believe fast food doesn’t have to be trash food. There may not be enough time to cook, but there’s always enough time to choose healthy food. 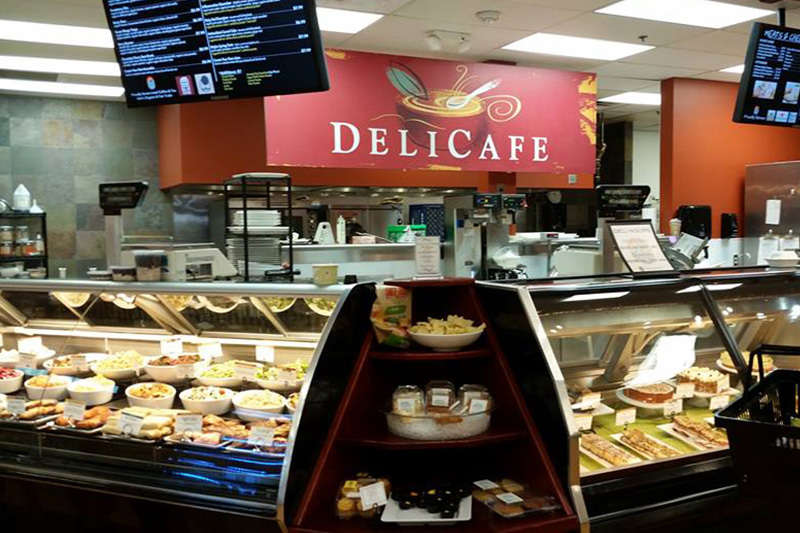 GreenAcres Deli made-from-scratch deli creates some of the best pot pies in the world, not to mention fresh-made soups, sandwiches, salad bar, prepared salads, and all natural rotisserie chickens. Try one of our signature sandwich box lunches or if you’re really on the run, a refreshing and nutrition-packed made-to-order smoothie. All of our salads and sides are hand-prepared daily, using the freshest ingredients available, and sourced from local and organic producers whenever possible. 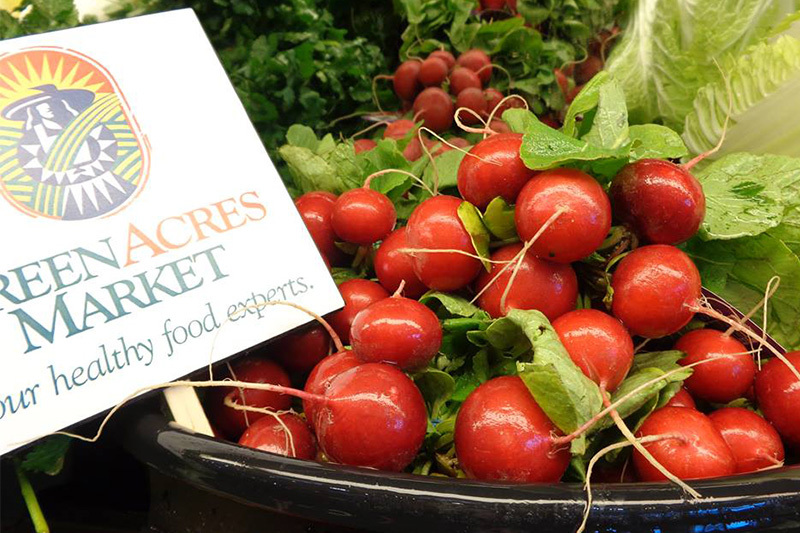 Many of our salads meet special dietary needs, such as gluten free, sugar free, raw, and vegan. Mon − Sat 8 a.m. − 9 p.m.
Sun 10 a.m. − 7 p.m.